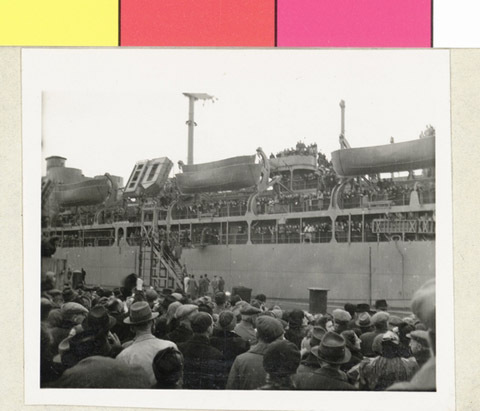 JDC - Archives : Ship with emigrating refugees leaving the port of Shanghai. Title Ship with emigrating refugees leaving the port of Shanghai. Description Ship with emigrating refugees leaving the port of Shanghai.